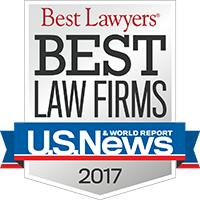 Estate Planning Lawyer in Littleton, CO | Miller & Steiert, P.C. An estate is made up of all of your assets, property, and possessions. You have worked hard to achieve everything you have. Without taking the proper steps to protect it, however, you could lose everything you worked hard to build. Hire an estate planning attorney from Littleton, CO to keep your savings and assets intact for your beneficiaries and safe from creditors. Every adult needs an estate plan, regardless of your age or financial status. Partner with Miller & Steiert, P.C., for help from an estate planning lawyer also serving Denver. We will work with you to ensure that your assets will be distributed according to your wishes after your death. At Miller & Steiert, P.C., we take the confusion out of Colorado estate planning. Our experienced Colorado estate planning lawyers understands the necessary documents and current laws to put together an estate plan that works for you and your circumstances. We answer your questions and assist in providing an outstanding legal estate plan that will protect your legacy for your family and loved ones. 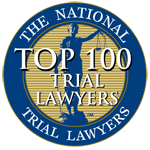 Contact Miller & Steiert, P.C. for help from estate planning lawyers for your estate planning needs. 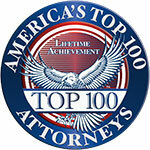 Our Littleton law firm also serves Denver clients. Last Will and Testament – We ensure that you meet the legal and state requirements to draft your estate planning documents successfully. Medical Powers of Attorney/Living Wills – Our lawyers will help you make a living will and determine who you’ll want to grant a durable power of attorney to fulfill your healthcare wishes. Trusts – Let us help you safeguard your financial privacy and manage your assets effectively by addressing your living trust concerns. Asset Protection – Protect your wealth, property and other assets from creditor claims. We provide legal advice so you can maximize your asset protection plan. Probate – We assist you in settling all the financial affairs of your deceased loved one. An estate plan is a collection of documents that are designed to provide direction for what is to be done with your assets and finances upon your death, and decisions for your medical needs in the event that you become sick or incapacitated. If you die without a will in place, Colorado statute determines where your assets will go, which may not be where you intended. An estate plan may contain instructions regarding how to handle your medical care and finances in the event you are unable to make decisions. A will or trust may be set up to provide guardianship and financial support for minor children if you pass away. The estate plan is set up to take the best advantage of the current tax laws so that your heirs get the most from their inheritance. A complete estate plan is best accomplished with help from qualified Colorado estate planning lawyers. At Miller & Steiert, P.C., our estate planning attorney Denver, CO has the experience and skills that you need to ensure that your estate is protected. The most basic of all estate plan documents is the last will and testament. The will defines the division of your estate and financially protects your loved ones after your death. A will also establishes guardianship of children. While a will is utilized after your death, a living will is designed for use while you are still living. It provides for your wishes regarding important medical care instructions for doctors. The living will is extremely helpful in assisting your loved ones face your difficult end of life treatment decisions. A power of attorney may be included in your estate plan to allow for someone else to take over your finances if the need arises. Our experienced Denver estate planning attorney will help you prepare all the documents necessary to protect your assets once you’re gone. The drafting of wills, trusts, living wills, and powers of attorney can be quite complex issues. An astute Denver estate planning attorney works to meet your needs while taking care to protect your interests. Sometimes a poor plan is actually worse than having no plan at all. Ambiguities, unclear directions, improper execution, and outdated information can create a result much different from what you intended. Do not put off creating a good estate plan. Get help from Colorado estate planning lawyers. At Miller & Steiert, P.C., we understand Colorado estate planning and are here to help our clients protect their assets. 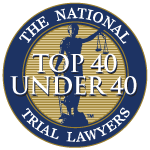 Contact Miller & Steiert, P.C. today for a consultation with a Denver estate planning attorney. 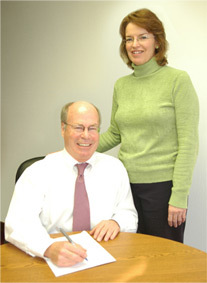 Miller & Steiert, P.C., your Colorado estate planning lawyers.